ClickFunnels Affiliate BootCamp – 100 Day Challenge – Update 5 | Checking For A Scam, So You Don't Have To. WOW! Already up to the 5th update, we are moving right along. I did want to say if you haven’t signed up yet its never too late. Sign up on this page and you can start building your Funnels. You can come back here anytime and ask questions or for some help. OK, now let’s see what Russell and the gang had in store for us. We have learned quite a bit so far and found that we can use this information for our websites as well as for building our Funnels. Let’s kick off Update Number 5! Today is the day we get to chose which funnel we would like to build out for Perfect Webinar Secrets. They both have pluses and minuses but were going over them and then you can choose. First thing you need to do is to clone both of the funnels. After that he shows us what information needs to be updated or added. The choice you need to make at this point, is if you are going to use a bridge page. He then shows us the changes we should make to our copy. The thing about using a bridge page, is you don’t have to worry so much about having every page of the funnel look the same. When you, are not, using a bridge page you want them to look similar. Use the same colors, same font, just keep it the same so it looks like its in an order. He also goes on to explain catering to different audiences. Building copy to show us examples of the different audiences. This video ends with him changing other elements of the message you really need to see it to get any real benefits. This lesson is about preframing your offer with a video. Its time to make the Who, What, Why, and How script for our video. You are going to get access to a workbook that will guide you through the writing of the preframe offer script. He is also going to give us a draft so we have something to go by. At this point he explains that this is the time to take action. It makes no difference what you have learned if you don’t take action. He now goes through all the answers to the Who, What, Why, and How. He also gives ideas of what to say so we can come up with a great video. After, The four questions are answered he goes into putting our personal twist on it. Talking about a goal we have achieved something tangible that any audience can relate to. Something that shows how you are better for watching this video or your family is better. The idea is to get in the head of the customer at least for as long as the video is on. This is about How To Get Hot Market Results Advertising To Cold Traffic. He starts off with the dreaded you have to be on camera. A lot of people are not to crazy about being on camera. He is going to explain why going on Facebook Live is going to change the game. With a Facebook Live you are making a video that’s real, its from the heart and it doesn’t have to be perfect. Besides, making your own Facebook Live videos he explains, that you can go through other already made videos. What I mean is you can look through videos and if you can find one that works with what you are promoting. When you, do you can use that video. The creator of the video will be happy (more views) you’ll be happy because you have a video with a lot of views/shares. There are videos out there with thousand and thousands of views what better way to get your message out. Another way you can use the video is to report on it, tell what’s going on in the video. Turns out there are a lot of ways to use video, again watching this segment would be the best to learn. To finish today’s lesson he went more into the cost per click when you use Facebook Live videos vs Ad Copy. Lastly we got homework and that was to make a Facebook Live video and you could report on another. Today we are going over cost, after the first test. He shows us the spread sheet he makes to track cost. After The First Test Worksheet its broken down to each funnel you are testing. This information will tell you which ads are working and which are not. It will give you breakdowns of where the commissions are coming from and what offer is selling. At this point you should be on your fourth test. This is assuming that you are running a test every five days. After that you will want to download your commission file. Which he does show us how to do that. Were putting in the values into our worksheet. He then reminds that in the short term you have to place a lot of value. Gaining a customer on your list and you know that they are a buyer. This is really one of the main goals to build your list and know that they are a buyer. We’re back with Kevin Tjia he is the Affiliate Manager. I should have introduced him earlier he has been doing the last few days training. There is going to be some review today you can figure that whenever you see the word maintenance. You are going to look at some things to see where you are in your campaign. Split Test To Improve The Results You Are Getting Through Lead Maintenance. Now what you are going to do today is go back to your FaceBook champaign and see what is working. Get rid of whats not working. You look to see how how its preforming you want to see it over a 1% Click Through Rate. But if, you are breaking even in the end and your getting buyers that is excellent. Normally speaking if the ad is running below 1% then its most likely not speaking to your Dream Customer. Chances are if you are at 1% or below you are just not getting your message across. Now if you are at 1 – 2% conversion rate that’s good and Kevin says he would be happy. At that rate its still a good time to look at your message, your image, and your call to action. Basically you are going to look at all the different aspects of your copy. Even down to your click button it may just not have the right wording. Once you do this with all your Facebook campaigns your going to want to do the same with your retargeting champaign. You want to know how things are going so you can split test run two different ads to see what works better. You can go back to Day 6 and Day 13 to refresh. We are going to start off with the Community Maintenance Worksheet. This would be great if its something you could do everyday. If not, you should be going back once a week so you know if everything is working. You can also keep up with your community to know what is working. Kevin is going to give us the Worksheet o we will have it. Its very important to do these Worksheets this is the way to see the health of your ads. Lets say you didn’t keep track how would you know what to change or try to change. I can’t make it any more clear how important it is to do this! These are the actions you need to keep on doing, so you can take a ad champaign and make it profitable. There are things to look at specifically, as to where to make the changes. You should already know what parts are failing. So you want to look at the stats from After The First Test. Lets say that your Landing Page is not fairing well. You would make a variation of the Landing Page then Click Funnels will send traffic to that page and see if it is converting better. Remember what we learned earlier in the week. When you are doing the 2 page funnel you want to keep the colors and theme pretty much the same. If, your doing a Bridge Page then you don’t necessarily have to do the same thing with the colors and style of the other pages. Once you make the changes of course you will have to test it to see how it compares to the old one. There is no perfect page you won’t find that information. Why? Because the only way to get it close to perfect is by making the change and then do a test. Just keep it up until you get the numbers you are looking for. I hope you are enjoying this series. If you are following along and doing the 100 Day Challenge, these updates will serve as awesome notes to refresh your memory. Thank you for visiting and if you have any questions or comments please leave them below. I will get back to you within 24 hours most times much faster. 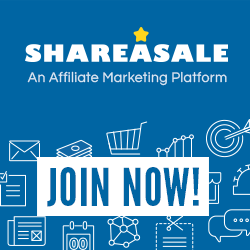 If you are only interested in Affiliate Marketing using a website don’t forget our #1 Pick. No credit card needed, 100% FREE! This was an awesome write up! Lots of insight into proper funnel set ups. Really grateful to have found this, as it is a topic I have been wanting to learn more about. Definitely going to sit down and go through this in more detail later to see what I can get set up! I am really glad you enjoyed my post. 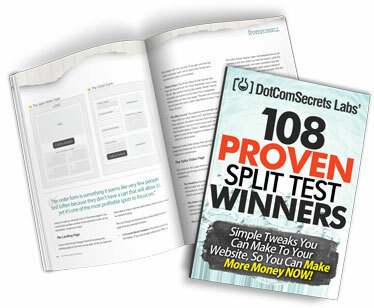 I would recommend that you get started with the 100 Day Challenge Affiliate Bootcamp. (It’s Free No Credit Card Needed) There is a lot of information that can be used for a webpage as well. I don’t know if you noticed but that is the 5th post on the 100 Day Challenge Affiliate Bootcamp. On my website on the right hand side, scroll down just a bit and the posts are listed there. Thank you for taking the time to comment on the post. If you get a chance to look though the others in that series, let me know if you have any questions or comments.